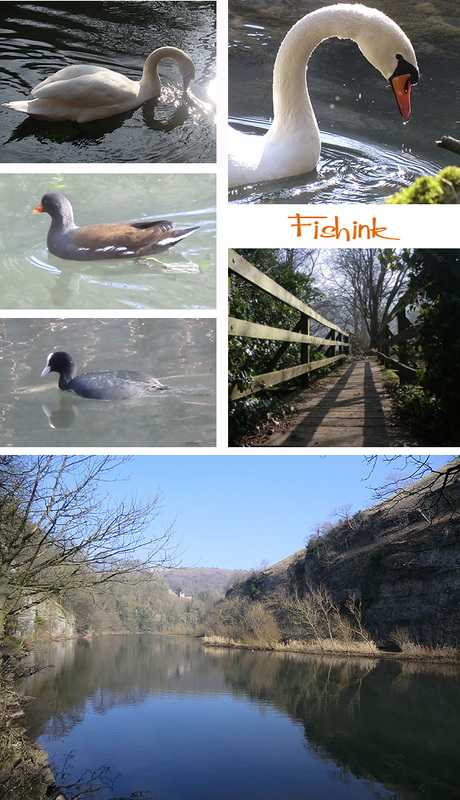 Fishink Walks around Tideswell Dale in the Peak District. Tuesday last week was such a beautiful day. Sunny and warm (in parts), but with a hint of mist and a spring-like chill in the air in others. 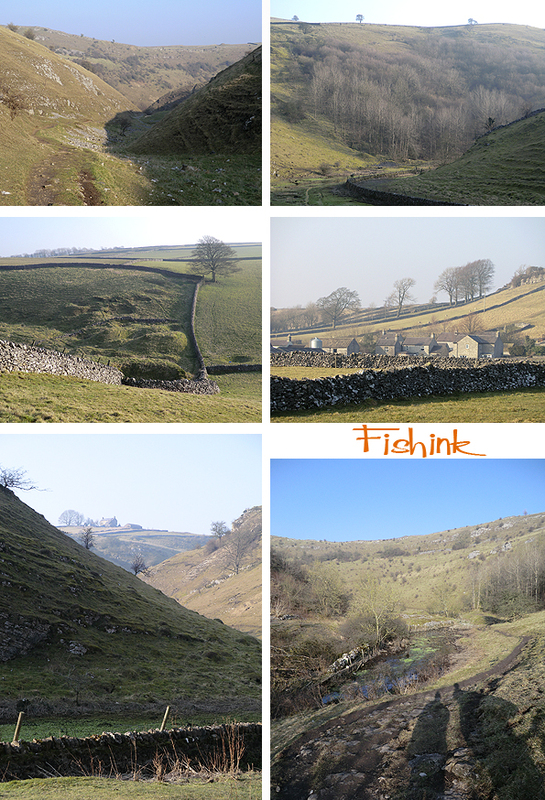 We made the most of the opportunity and escaped for a much needed walk into the Peak District. 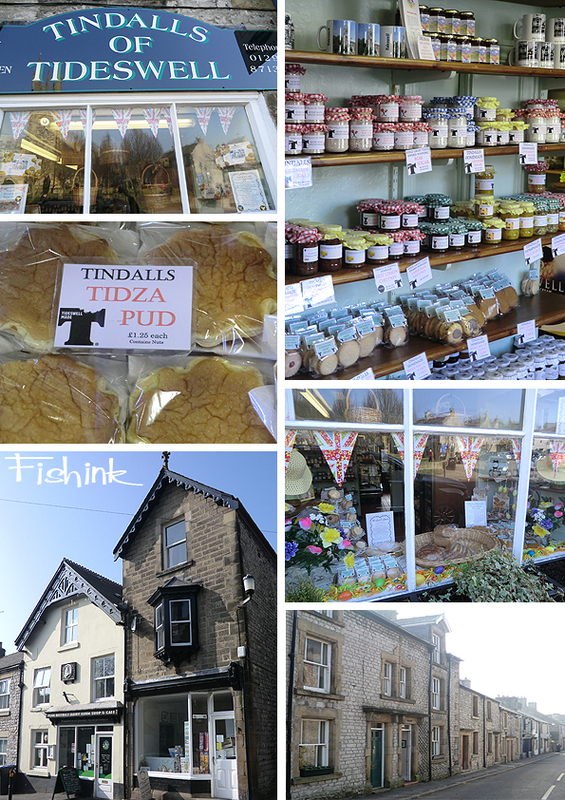 In the Middle Ages, Tideswell was a market town known for lead mining. The Tideswell lead miners were renowned for their strength and were much prized by the military authorities. Today this cake shop rules the town, fortunately for us ! Tideswell is also best known for its 14th-century parish church, the Church of St John the Baptist, known as the “Cathedral of the Peak”, which contains three 15th-century misericords. A sundial lies in the churchyard; it is positioned on steps which local historian Neville T. Sharpe thinks likely to be those of the village’s market cross. A market and two-day fair were granted to the village in 1251. There are some colourful stained glass windows inside. All in all, a stunning Church, and even better to catch it today with the sunlight streaming in. 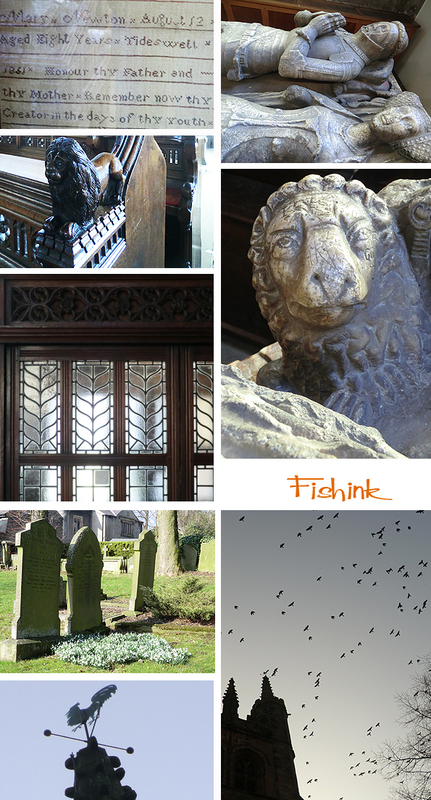 I was very impressed by the amazing figurative work on the benches and screens throughout the church. 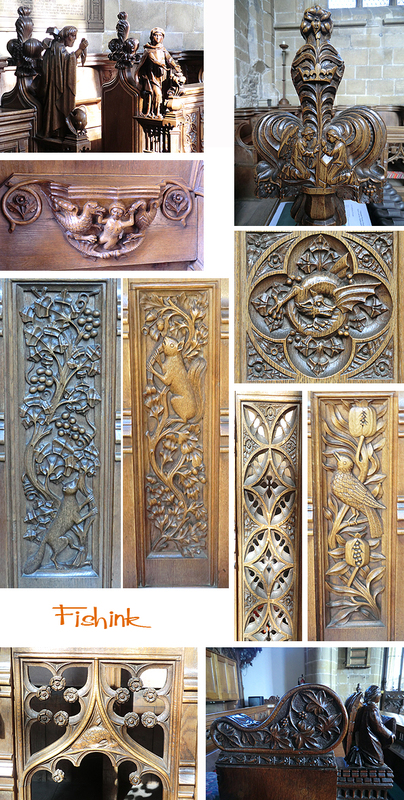 You can see the local love of the countryside depicted clearly in the carved panels. Such detail and skill. I wasn’t sure that the local crows and rooks were entirely friendly as they swarmed above us, so we quickly headed for the start of our 6 mile walk, not far from Tideswell itself. 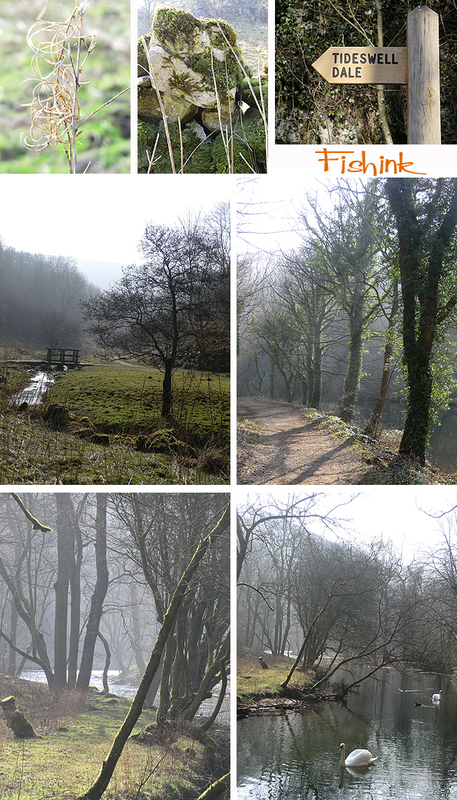 As you can see the countryside was looking particularly beautiful with it’s mist and sunshine and there was a wooden maiden and an oversized (I hope) Water-vole to guide us on our way. 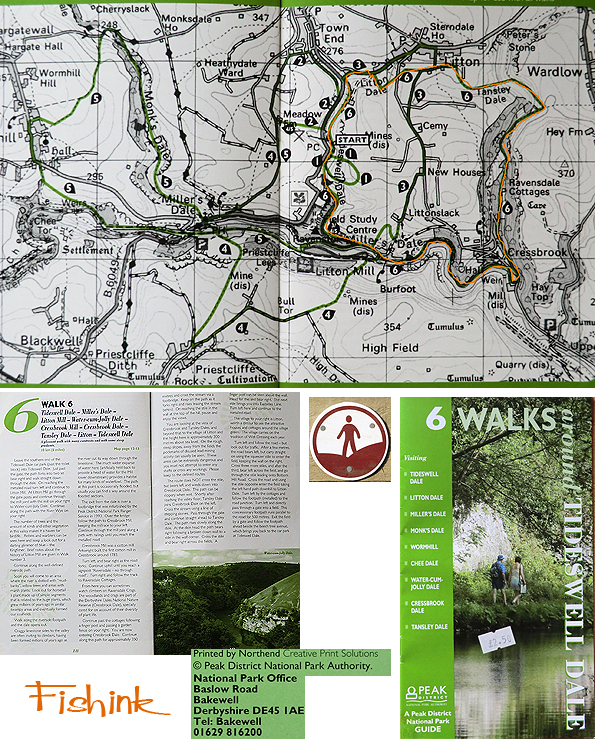 We picked up a map and walking route from the post office at Tideswell, it was a stunning trail, taking in sculptures and nature in abundance. An hour into the walk we stopped to lunch alongside the swans, what a lovely spot. The light dripping off their necks and beaks caught the sunlight. A few Coots and Moorhens were around too. You can see clearly here why the area is known for it’s limestone. 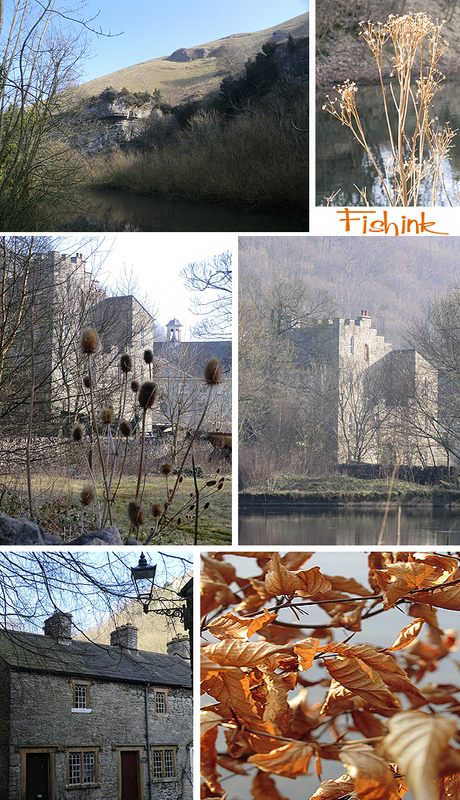 This castle folly made me feel like I was somewhere much further away lol. A row of beautiful little cottages with wonderful detail in the windows, caught my eye. The damp trees and forests were carpeted with a glowing and growing green velvet moss along their boughs, again giving the area a slightly magical feeling to it. A little higher we climbed into the peaks and saw the valleys from above. 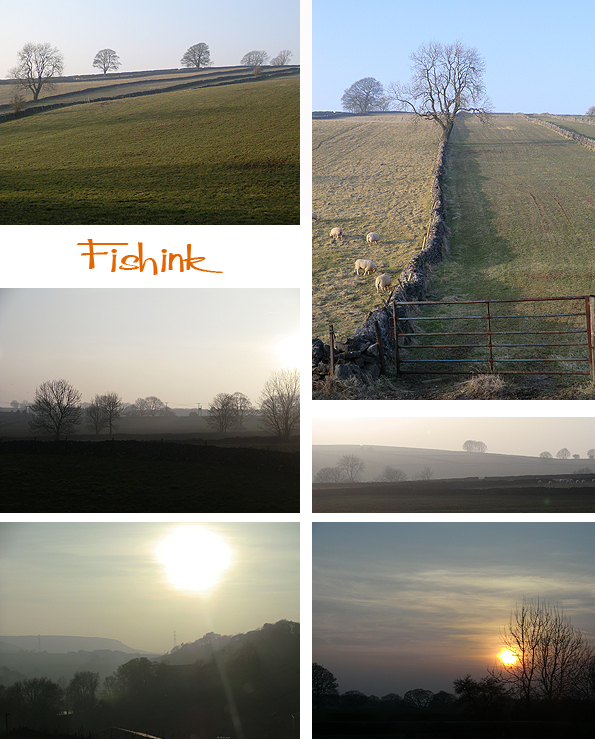 An array of drystone walls lead the eye to the horizon and into the distance where small farms and cottages nestled. 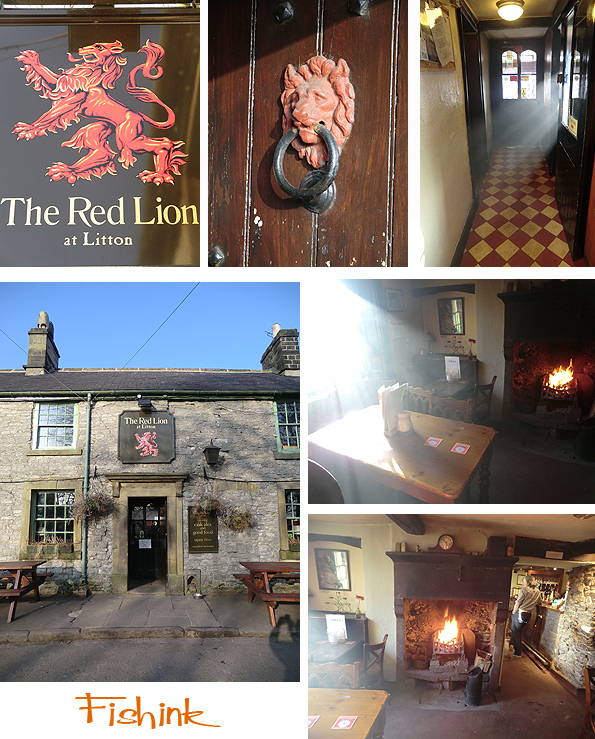 On reaching the village of Litton a couple of hours later, we thought it time for a well earned cuppa at the cozy and rustic Red Lion pub. Well worth a warming stop off. Then just another half hour walk back to the start of our journey. Pausing to take in the beauty of the countryside and the field boundaries once again. For the map people amongst you here’s a little snippet of where we walked (in orange). You can do it in about 4 hours and it’s relatively flat so get out there and enjoy ! Do let me know if you get there, but don’t blame me if the pub’s shut : ) Have fun. Oh, so beautiful and peaceful. Wonderful to see something green and growing. The swans are beautiful. Thanks for sharing. No problem, glad you liked it too. Wasn’t it good to have a day of sunshine and almost warmth? Cold enough to freeze your face off in the buffeting wind outside this evening! Yes it made such a difference, I’ve quite missed getting outdoors and having that time with nature. Back to the chilly stuff again, hey ho. You should have called in for a cuppa! Lovely post. 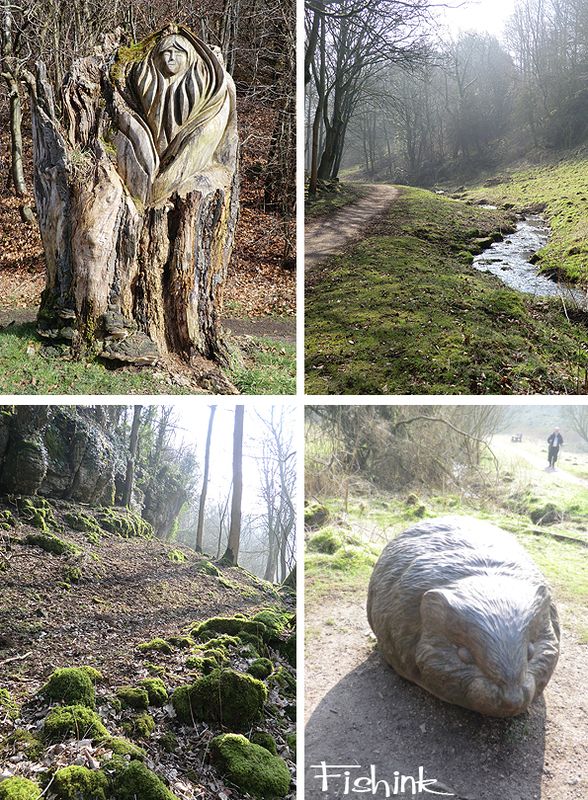 Giant rodents might scare away some ramblers. 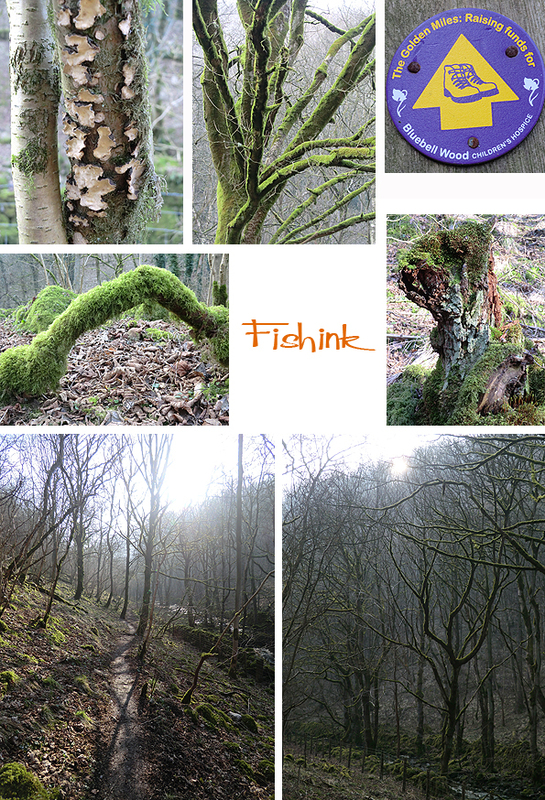 Brilliant blog and great photos…really nice long walk too.